A Persian Gulf Navy Veteran, Paul works at Argonne National Labs. 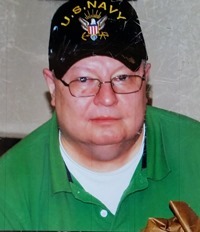 A life member of the VFW, he joined the committee in 2007. Over 37 years in the Amusement Park, Family Entertainment and Zoo Industries. Serving as director of group sales at BOB-LO Island Amusement Park and the Detroit Zoo both in Detroit, Michigan and Americana Amusement Park Middletown, Ohio as well as General Manager of Food and Beverage Service at Santa's Village, Dundee Illinois and the Brookfield Zoo, Brookfield Illinois. Sue is currently a medical caseworker at Joliet Township Government Office. She was born and raised in Joliet and has been a member of the support committee since 2005. Her family has a strong military background and her parents are buried at the Abraham Lincoln National Cemetery. She is a four time president of the American Legion Post 1080 Auxiliary. Past president of both the Will County American Legion Auxiliary and the 11th District American Legion Auxiliary covering Will, DuPage, Kane, and McHenry counties. She volunteers each year at ALNC for the Flag Placement Ceremony, Wreaths Across America, and for the removal of the wreaths and cleaning the grounds of holiday decorations. She volunteers as time allows with Operation Care Package and Honor Flight, as well as visiting veterans at local nursing homes and Hope Manor in Joliet. A Field Engineer for Agilent Technologies and a musician, he joined the committee 1999 to help plan the dedication of the cemetery. He has since worked on establishing the Honor Guard, helping to create this website, and has held the position of Treasurer since 2003. He also serves as Treasurer for the Sons of the American Legion – Squadron 1080. Served in the U.S. Navy from 1966-1972 with Active Duty 1967-1968 including Vietnam service. Spent almost 41 years in IT, mainly in the Banking Industry. Married with two children and three grandchildren, he was previously a member of Tom Cross's Veteran Advisory Group, and Post Commander of American Legion Post 1941 in La Grange, Il. Currently, besides being Chaplain of the ALNC Support Group, he is Service Officer of Legion Post 13 in Plainfield and the Treasurer on the Will County Veteran's Assistance Commission. Jim served in the United States Army from 1965 to 1967 and was stationed in Sandhofen, Germany. He is a member of Manhattan American Legion Post 935, where he has served as past commander, chaplain, adjutant, and Boys State Chairman. In 2012, he was named to the Abraham Lincoln National Cemetery Support Committee. He is also a longtime member of the Will County Veterans Assistance Commission, as well as the Will County Environmental Network. He and his wife, Mary, live on a Centennial Farm in Manhattan, where he raises beef cattle. The now retired Will County Regional Superintendent of Schools joined the committee in 1999 to help plan the dedication of the cemetery and has since worked on establishing the Honor Guard, helping to create this web site, and is currently coordinating the Lincoln Statue Proposal. Over the years, he has served on many area and state committees including the Illinois Committee for Employer Support of Guard & Reserve and the Illinois Terrorism Task Force. Mrs. Valencia is an Auxiliary member of the American Legion Harwood Post 5; and a life member of the DAV Auxiliary. She is a tenth generation American and a proud descendent of Patriots who served in the American Revolution. Family members have served from the American Revolutionary War to the War in Iraq. As a member of the National Society Daughters of the American Revolution she began participating in the first ceremonies ever held at ALNC to give honor to Soldiers of Direct Burials. She worked in the Electric Utility industry for 35 years, and is a retired Lockport Township fire department P.O.C. firefighter/EMT. She has served as Illinois State Organization NSDAR Service for Veterans Committee chairman, and continues to promote and support “Chicago Honor Flight”, “Operation Care Package”, “Operation locate a Hero” and Chicagoland Stand Downs.